Microlearning is a technique of delivering learning content in short and concise intervals. According to Wikipedia, microlearning deals with relatively small learning units and short-term learning activities. The term “microlearning” refers to micro-perspectives in the context of learning, education and training. And, it is on the rise according to ATD, the Association of Talent Development. At ATD’s most recent global conference in May of 2017, microlearning was number three on a list of over 50 upcoming trends. Breaking information into short chunks allows for learners to retain information. According to research by neuroscientists, we can only absorb four to five pieces of information into our short-term memory at any given time. Not to mention, our ever-shrinking attention spans. Microlearning does not replace traditional learning. Instead, it can be used to reinforce or enhance learning over time. Single event training is vulnerable to low retention of information. Basically, participants forget what they’ve learned as time progresses. The forgetting curve, proposed by German psychologist Herman Ebbinghaus in 1885, is an actual mathematical representation of the exponential rate at which we lose a memory “if no attempt is made to retain it.” Roughly 70% of a memory is lost within the first 24 hours. By supporting single training events with mini “hits” of information at regular intervals in-between training sessions, learners have a better chance of retention of new skills, ideas and processes. In MEA’s core Foundational Leadership Series, participants receive “Training Tips” between each day long course to support the learning. Each of these tips or tools can be put into practice by participants immediately on the job. For example, participants in the Successful Communication workshop learn communication styles and the importance of adapting to multiple styles. This concept can get lost over time. In comes microlearning with a short concise tip, peppered with information and practices that take less than 3 minutes to digest. It reinforces how to flex your communication style. So, if you are a “high direct” working with a “high considerate,” you are reminded to soften what you say. In this 6-day series, participants process a corresponding tip for Management Fundamentals, Coaching Skills, Motivation, Accountability and Basics of Employment Law. For Microlearning to be effective, the approach chosen should take into consideration the “Spacing Effect.” According to Work-Learning Research, the spacing effect is the finding that repetitions spaced over time produce better long-term remembering than the exact same repetitions spaced over a shorter amount of time or massed all together. Instead of attending 6 days of workshops in a row, MEA pushes them out over time and provides interval microlearning in between. Some highly successful examples of microlearning delivery include Coursmos, Axonify, TED Talk and Youtube. Coursmos, for example, is an online microlearning platform. It offers approximately 50,000 lessons within approximately 11,000 courses with courses broken down into smaller lessons, typically no longer than three minutes each. Launched in 2013, it has been attributed as the world’s first platform that supports microlearning. 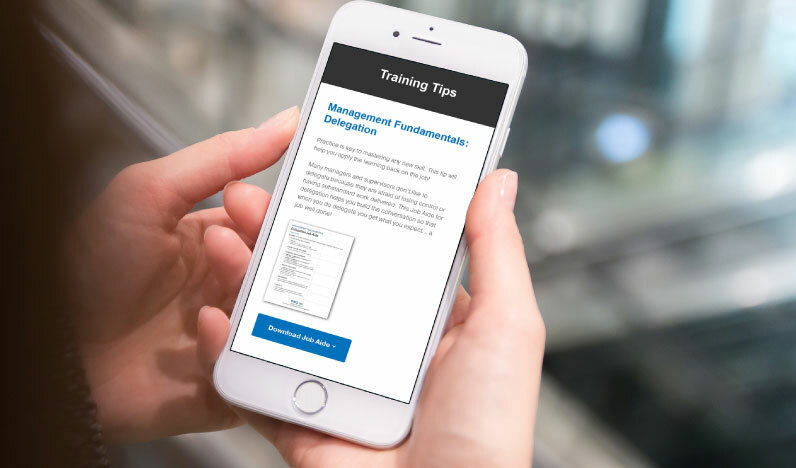 When microlearning is delivered in a consistent, ongoing way, you drive continuous learning, enhance knowledge, increase retention and produce real behavior change in your workforce. Marian Vallotton is MEA’s Director of Training & Development specializing in engaging managers and employees through in-person and online training for over a decade.